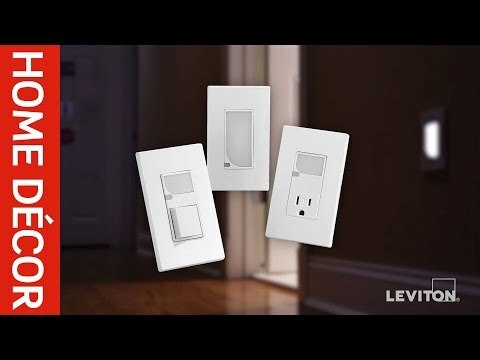 Leviton Decora® Tamper-resistant duplex receptacle in ivory color, has current rating of 20-Amps and voltage rating of 125-Volts. 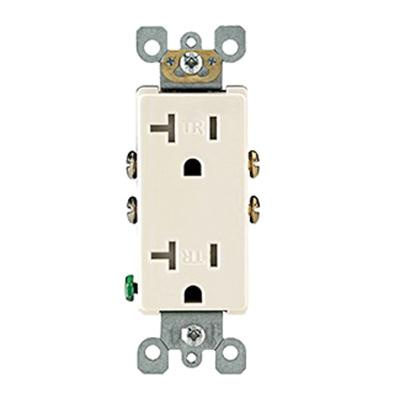 This self-grounding receptacle 4.2-Inch x 34.32-Inch x 30.07-Inch. Ultrasonically welded receptacle features heavy-duty construction for trouble-free service life. It has side wire connection. It has plated steel terminal screws for easy mounting. Residential receptacle is perfect for new or renovated single and multifamily housing, schools, libraries and childcare facilities. It has NEMA 5-20R configuration for added safety. Receptacle is UL listed and CSA/NOM certified.